Triumph 650’s, the Harley WR’s, KR750’s and XR750’s, BSA Gold Stars, and some fine short trackers like the Bultaco Astro are all in the mix. Rare #1 leathers King Kenny wore, Aldana’s “skeleton” design as well as leathers Daytona 200 winner Don Emde also wore when he raced the TransAtlantic Match races decades ago. Paintings by Scott Jacobs, prints by Harry Miller as well as photos from Camel Pro photographer Bert Shepard help give action to the exhibit. I covered the Springfield Mile for the Springfield State Journal Register in the late ’90’s and then again in the early to mid first decade of this century. I had the pleasure of meeting and interviewing Bobby Hill, Jay Springsteen, Rich King, Scottie Parker, Terry Poovey, Scott Atherton, the late Will Davis, Kenny Coolbeth and others. But the most friendly and personable was land speed record holder, several National Grand Champion and numerous Springfield Mile winner Chris Carr, who always remembered my first name and made time for an interview. I only wrote for the SJ-R on the side, as I was, and still am a full-time State of Illimois player. My greatest reward was having race fans and racers, like Chris, tell me that my coverage made them feel like they were watching the race. Funny thing is, I love motorcycle flat track racing and would have covered the races for the sheer pleasure of watching, interviewing and writing about the experience. To race fans everywhere, if you haven’t seen the mile at the fastest dirt flat track in the world in Springfield, you gotta’ go at least once. And you will be hooked. I love this sport and would dearly love to cover it again. Be careful everybody. Keep riding, and make it up to J & P in Ananias, Iowa. Enjoy the ride! Good old spellcheck…2 corrections – I work for the State of Illinois full-time, and J & P is in Anamosa, IA… Not Ananias…I have no idea where that is…sounds like a Greek God or something. I started flat vintage flat track racing in 2012 at the age of 48. It was a short career but it was the highlight of my after kids life. The experience of a life time. When I raced at Sycamore Speedway and stood at the Racers meeting I had a long look around at my fellow racers and felt honored to be with these Great men of which I was the most junior. There were retired pro racing heros like Dave Aldana and old fairgrounds racers like dan Beher. I was racing a BSA A70L in a Trackmaster frame just like Dave Aldana rode in 1971. He came over and talked to me and took his picture and signed my trophy. I told my Pap and Mame I was goin to the dirttrack to go flattrackin.ACTED LIKE THEY WAS GUT SHOT!Says SON,Make your life goes here,HEREs WHERE THE PEOPLES IS,FLATTRACK IS FULL OF SPEED AND DANGER.Mother Larcom I SAYS,FLATTRACK IS THE MARROW OF THE WORLD, BY GOSH,I WAS RIGHT!!! We are planning on extending the display all the way through to 2015! I was at the Vintage rally in June and loved the museum and dirt track exhibit. I was there to meet Bobby Hill and Bill Tuman. My late grandfather was a tuner for them in the late 40’s into the 50’s during their hay day as “the Indian Wrecking Crew.” Thanks for having them there and giving me the chance to meet two men who were a big part of his life! So the flat track exhibit won’t be coming down in the spring? (if it ever gets here!) My son and grandsons are wanting to get over there to see some of our hero’s bikes and gear. I also promised Mrs. Terry Boody (Ted Boody) that I would make a donation to the museum in Ted’s honor. I intend to keep that promise. I visited the museum during the summer of 2013 while in the midst of a 3 month “Tour de USA” in my Factory Five Racing Cobra replica. This was one of a number of car and airplane museums I visited during the trip. I’d have to say that the National Motorcycle Museum was the best, in terms of breadth and context for it’s subject. 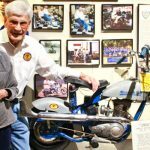 Just a fantastic museum, chock full of “stuff” for anyone interested in the history of motorcycling. reach out to them, and not about your job situation. And if it’s sincere, let them know you’re dedicated to each of them inside the process. relentless persuasions, which oftentimes, can overwhelm someone. stored in a centralized server inside your company. Generally, enterprise-level messenger is safe and stable for business communication. She had been requested by Rahwana to marry him but she would quite die. Does anyone remember Mike Kidd? Mike lived just up the street from me in the early 70s when he held the #1 plate for short track. 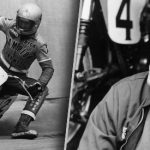 He usually rode a Bultaco and raced hard against larger bikes. I often wonder what happened to Mike, hope he is doing well. as color and style. The world is really shrinking and ideas are being shared around the globe at a rapid pace.